With more than half the world’s population now living in urban areas, urbanisation is undoubtedly one of the most important phenomena of the 21st century. However, despite increasing recognition of the critical relationship between economic and social development in cities, gender issues are often overlooked in understanding the complexities of current urbanisation processes. This book seeks to rectify this neglect. Gender, Asset Accumulation and Just Cities explores the contribution that a focus on the gendered nature of asset accumulation brings to the goal of achieving just, more equitable cities. To date neither the academic debates nor the formulated policy and practice on just cities has included a focus on gender-based inequalities, discriminations, or opportunities. From a gender perspective, a separate discourse exists, closely associated with gender justice, particularly in relation to urban rights and democracy. Neither, however, has addressed the implications for women’s accumulation of assets and associated empowerment for transformational pathways to just cities. 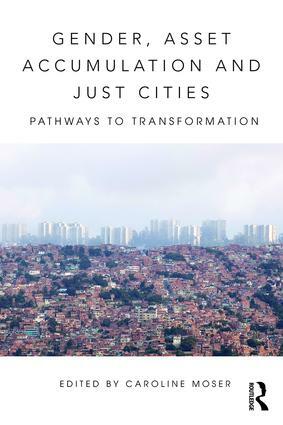 In this book, contributors specifically focus on gender and just cities from a wide range of gendered perspectives that include households, housing, land, gender-based violence, transport, climate, and disasters.